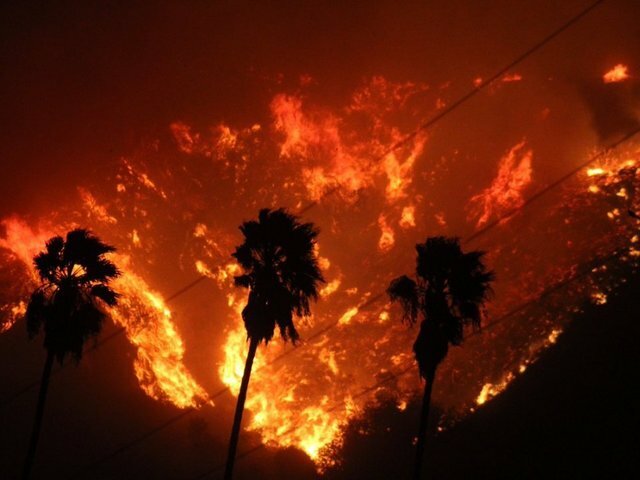 Recently Southern California has been the victim of harsh wildfires that have affected many families and their homes. The latest one came on Friday in the Hollywood Hills, surprising many due to the recent drop in temperature in Los Angeles. While many may believe the fires have all passed, a fire warning is still in effect and it is expected to only get worse over the weekend due to rising temperatures and winds. Gusts could get as high as 60 mph, and the temperatures are expected to rise to the high 80s. While it can be difficult to avoid brush fires and wildfires, many fires are caused by humans and can be prevented. Here are some ways to avoid fires according to the National Geographic. 1. When you come across a fire, call 911 immediately. 2. Be cautious with lighting and heating devices, especially when camping. 3. Do not throw cigarettes onto park grounds or out of moving vehicles. 4. Avoid burning waste in windy areas. Keep a fire retardant nearby to control fires. The National Geographic also has a list of rules to follow in the event that you are caught in a wildfire. 1. Evacuate immediately wearing protective clothing and footwear. 2. Shut off gas and close windows, vents, and so forth to prevent a draft in your house. 3. Look for a body of water nearby as opposed to trying to outrun the fire. 4. Protect lungs by breathing air close to the ground through a moist cloth. Preparation for fires are important because when they occur, it is often too late to take the necessary precautions to protect yourself. Always have a plan in place in the event of a fire.